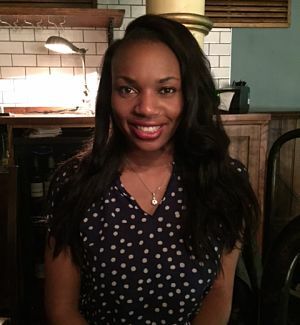 This month we are celebrating the success and personal achievement of bubbly Occupational Therapist Ify from Stoke-on-Trent. Ify, our band 6 locum has been working with JustOT for just over a year now. Since then she has received glowing feedback from her placements, all reflecting on her friendly, professional positive attitude. Stuart, Ify’s consultant here at JustOT added, ‘Ify took on a role that she knew would be challenging and I have had nothing but great reviews. She is a genuinely nice person with a strong passion for what she does’. I currently work with the Intensive Rehabilitation Service (IRS). Our team helps to facilitate discharges from hospital and reduces the risks of admissions. I feel that this role has enabled me to develop my skills in activity analysis and problem-solving. I enjoy the flexibility of being a locum. I feel like I have more control and ownership over my career. I also enjoy the variety of settings that I have been able to work in so far. Rehabilitating a client who had suffered from a fall at home resulting in a fractured right neck of femur. As a result of her fall my client’s confidence was very low and she was reluctant to partake in activities of daily living which she previously enjoyed such as cooking. Through grading kitchen tasks, I was able to work with my client to reach her goal of being independent with cooking. This resulted in my client reporting that she felt a sense of achievement, thus improving her quality of life.